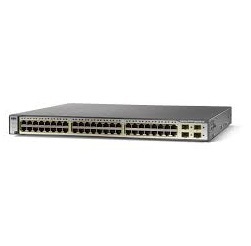 The Cisco Catalyst 3560 switch is a fixed configuration, enterprise-class, IEEE 802.3af and Cisco prestandard Power over Ethernet (PoE) switch in Fast Ethernet configuration that provides availability, security, and quality of service to enhance network operations. 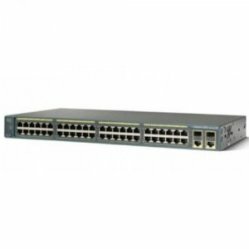 The Catalyst 3560 is an ideal access layer switch for small enterprise wiring closets or branch office environments that are using their LAN infrastructure for the deployment of products and applications such as IP telephones, wireless access points, video surveillance, building management systems, and remote video kiosks. 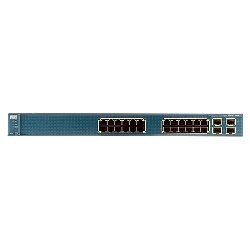 Customers can deploy network-wide intelligent services, such as advanced QoS, rate limiting, access control lists, multicast management, and high-performance IP routing – while maintaining the simplicity of traditional LAN switching. Embedded in the Catalyst 3560 is the Cisco Cluster Management Suite Software, which allows users to simultaneously configure and troubleshoot multiple Cisco Catalyst desktop switches using a standard Web browser. Cisco CMS Software provides configuration wizards that greatly simplify the implementation of converged networks and intelligent network services.